Highlights from the "Munch" section include this Chorizo Pork Fiesta ($10), a generous serving of intensely savory Spanish pork sausages that are bouncy on the teeth. 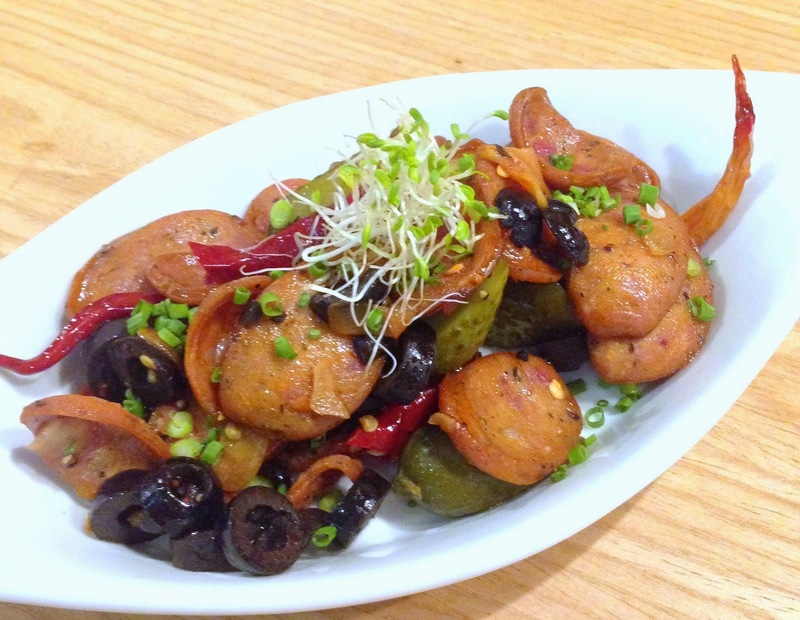 I thought the meaty discs combined with black olives were a little too salty on their own, but the acidic crunchy gherkins and dried chili acted as good mediators in terms of both flavors and textures. 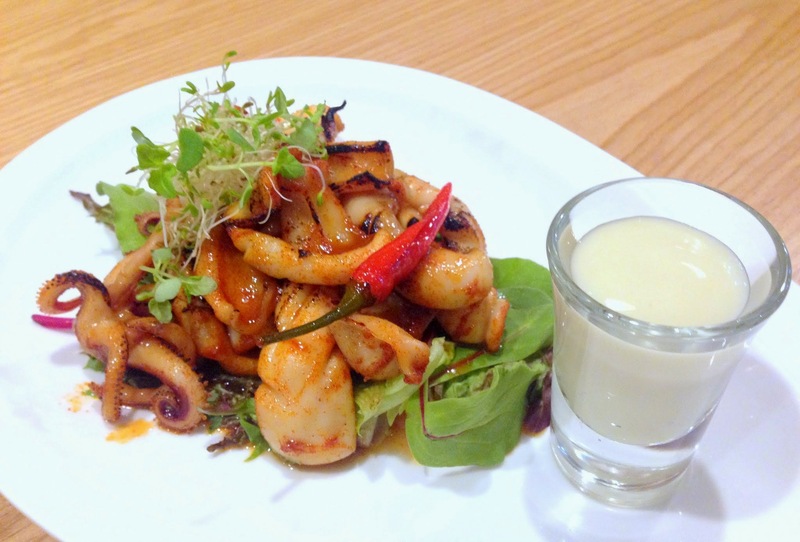 I am not a fan of squid but this Chargrilled Squid ($12) were so sweet and succulent that made me rediscovered the charm of this brainy seafood. The enticingly sweet and spicy "hush hush" seasoning probably won a lot of points for this dish, which implied that the side dressing of honey lime mayonnaise did not serve much purpose but this would taste equally mouthwatering even if other seafood are tossed in. 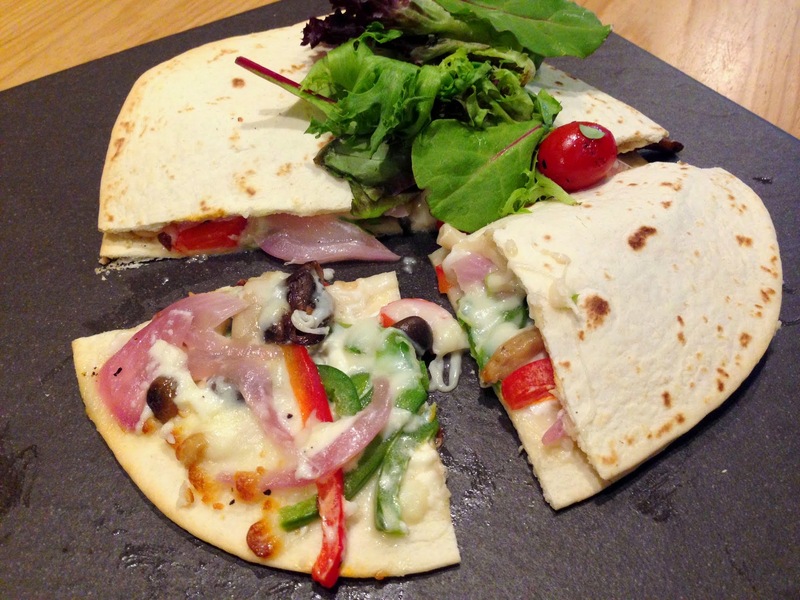 The Mushroom Quesadillas ($18) had the basic necessary ingredients such as wild mushrooms, bell peppers, onions and mozzarella but the taste fell rather flat. It was a pity because the tortilla skin made in-house was excellently crisp and fresh. Perhaps a mix of cheese and a little more spice would bring about clarity of flavors. 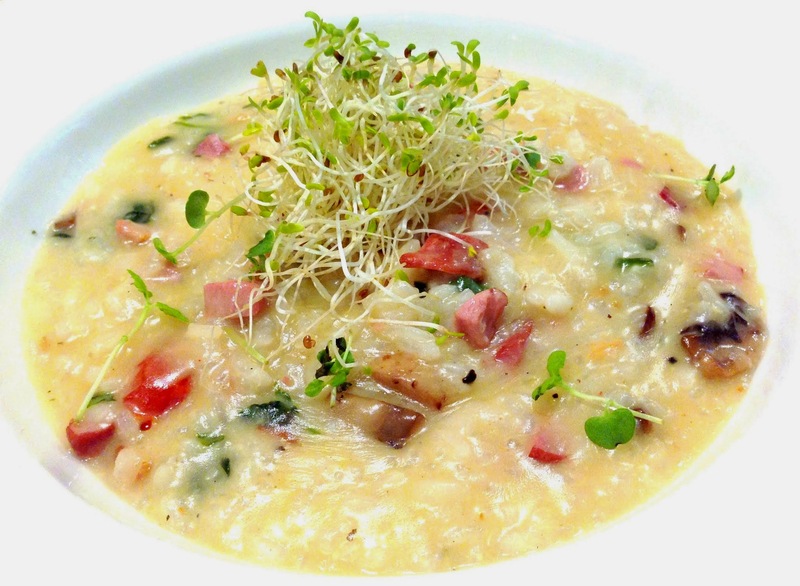 Nonetheless, regardless whether you have visited in the past for the food, the Smoked Duck Risotto ($25) provided another good reason to dine here. Instead of slices of smoked duck breast, the meat was meticulously chopped into bite sizes, blending itself seamlessly with the rest of the ingredients including hojimeishi mushrooms and baby spinach. The bright zesty flavor of the semi sun-dried tomato lightened everything instantly and served as a good foil for the rich and creamy base. 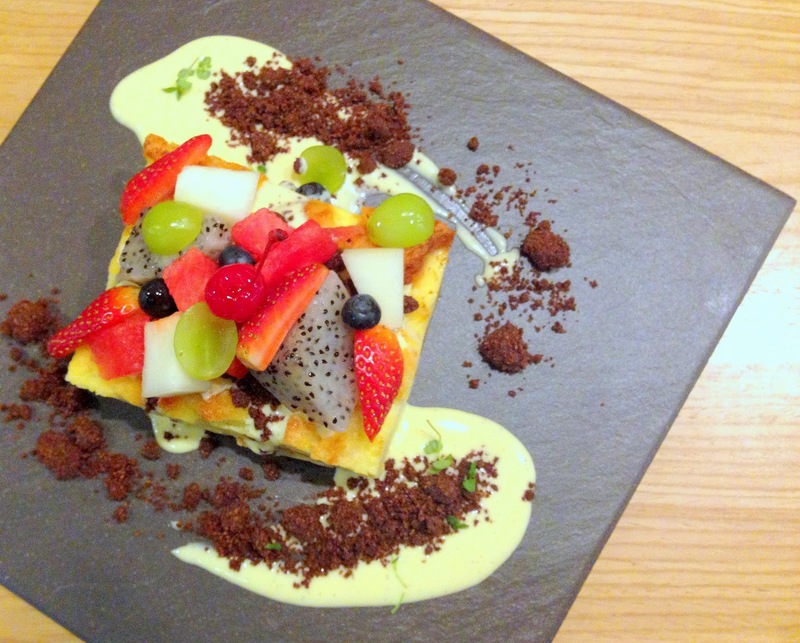 The vigilant eye for consistent quality food is not kept to the main courses but also the desserts section, where non-conventional pairings like thyme ice cream and nutty brownie would invite you to linger for more. Take for example the Frozen Honey Nougat ($12) that was flecked with pistachio nuts, dried almonds, and jazzed up with a delicate and aromatic coconut tuile biscuit. 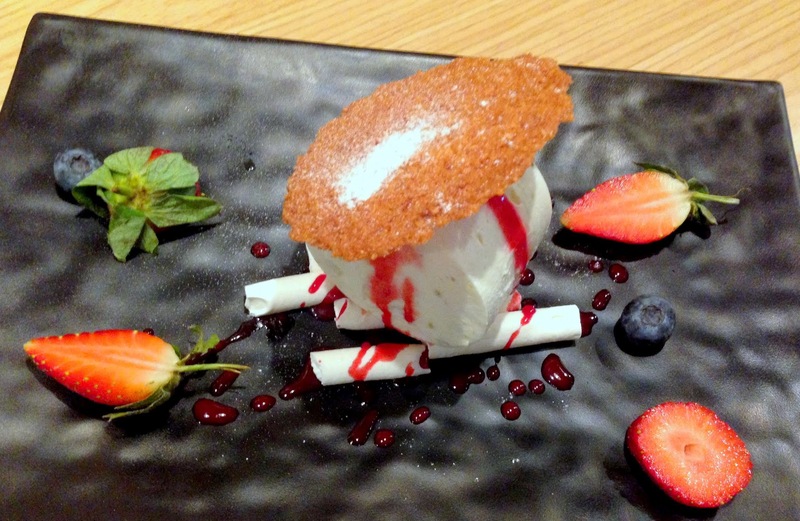 I was amazed how this chilled meringue was so restrained in sweetness, even when consumed with the meringue sticks. This is definitely a wonderfully refreshing and healthier confection than the usual ice cream to tide sweet cravings. Topped with all kinds of fruits you can imagine-from the usual berries to apples, grapes and even watermelon, the humble Bread and Butter pudding with Vanilla Crème was transformed into the largest and possibly most beautifully plated version I've ever seen. This eggy pud would set you back at only $8, but increase your belt size by another hole. Begetting a long swipe through the vanilla crème and cocoa crumbs, the lush custardy interior would be perfect if it had a toastier exterior. Besides the desserts, all the cakes and bread are churned out from the 1st floor bakery. 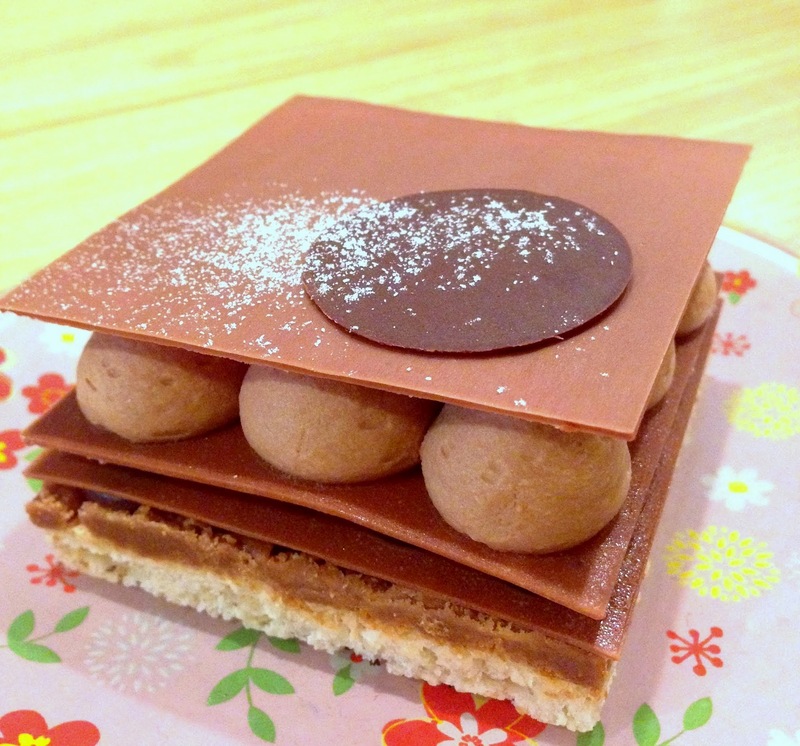 The Pleasure ($8.50) is a classic interpretation of a milk chocolate-hazelnut cake but the dacquoise and ganache were slightly stiffened and dry. However, the hints of salt did help to enhance the elusive chocolate and pull things into a more coherent shape. For those who love their alcohol, The Missing Pan boasts a specially curated list ranging from Thatcher Ciders, Brothers Ciders to craft beers from Belgium and UK. 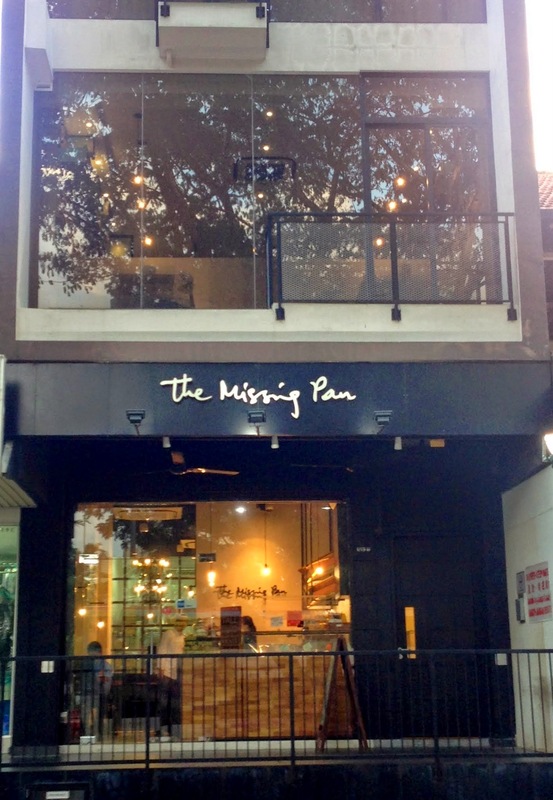 With a winning recipe of earnest passion and sincerity in serving good food, I am confident that the Missing Pan will continue to anchor a strong foothold in the local F&B scene.